Ecology by Design offers comprehensive ecological Bird surveys. Visit our site to find out more about our range of animal surveys. There are more than 250 species of bird in Britain, including resident birds which breed and overwinter in the country and migrants who visit at different times throughout the year, some in summer and others in winter. We also see migrant species that briefly stop off here mid-journey, on their way elsewhere. It's our job to help you do the right thing and protect the birds that are living and breeding on your construction or development site. 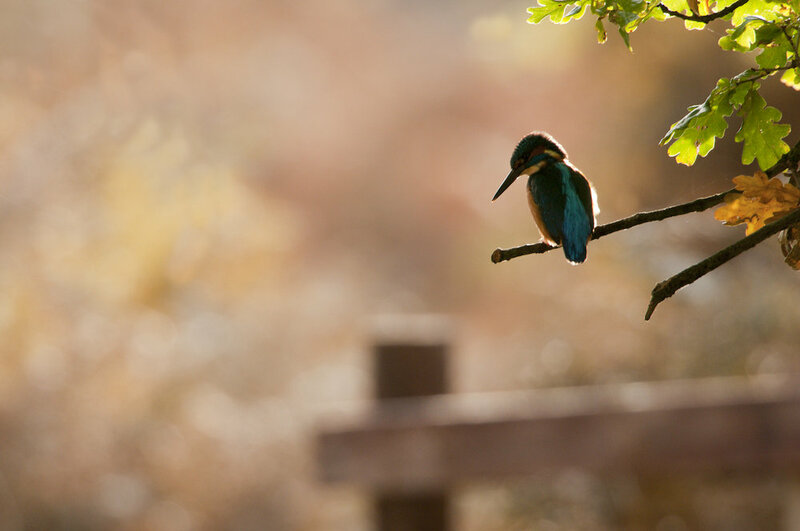 Many of Britain's birds are suffering a decline. There are over 60 species on the Birds of Conservation Concern Red List. Populations of red list species are declining and as such, they have all been given a high conservation priority. Some birds prefer to nest on the ground, others in scrub, hedgerows and trees, and several types of bird, including swallows and swifts, nest inside or on buildings and other human structures. While some birds nest all year round, most of our native species lay eggs between March and late August, with the peak months being May and June. This means it's entirely possible to find birds nesting and breeding on development and construction sites at any time of year, which is why bird surveys are so important. Our enthusiastic and experienced ornithologists are here to advise you about every aspect of bird surveys, bird impact assessments and mitigation. Breeding bird surveys usually happen between March and August. We carry out breeding bird surveys according to the proven BTO Breeding Bird Survey or BBS method. We will visit your site on at least four different occasions, each starting at dawn, to spot and record bird species and count how many of each are present on the site. We report back to you in detail including recommendations about proven ways to mitigate the impact of your project, and can carry out the work for you if you wish. Many birds only visit Britain during the autumn and winter. In England every type of wintering bird is protected under the Wildlife and Countryside Act, and there aresimilar acts covering Wales, Scotland and Northern Ireland. A winter bird survey involves as many as four separate surveys, one a month, usually taking place in November, December, January and February. One of our highly experienced ecologists will visit your site at least three times, mapping the bird species present and their behaviour to assess their significance and estimate their numbers. Once this is done, you can design your works to avoid impacting the birds and the habitats they depend on – something we can also help you with. Britain has a lot of significant wetlands supporting large numbers of birds, particularly over-wintering species. They're also protected by the Wildlife and Countryside Act in England and similar laws elsewhere in the nation, but also fall under wider legislation covering Special Protection Areas recognised by the international Ramsar Conservation of Wetlands agreement. Wetland bird surveys record waders, wildfowl and gulls found around rivers, mudflats, sand bars, estuaries, coasts and big bodies of water inland, recording peak counts that in turn establish the importance of a site, and the surveys are usually undertaken from October to March, at least one per month. Once the situation is known, you can design your works to suit the needs of the birds present. We can help and advise if you wish. All wild birds, their nests and their youngsters in England and Wales are protected by law, thanks to the Wildlife & Countryside Act 1981. This makes it illegal to injure, kill or take any wild bird of any species, no matter how common. It's also illegal to damage or destroy the nest or eggs of birds that are breeding. Rare and vulnerable species that have been listed on Schedule 1 of the 1981 Act, plus their eggs and young, are subject to extra legal protection from 'intentional or reckless' disturbance while on or near their nest. Scotland has its own unique set of laws. Birds might nest in machinery, on scaffolding, in the eaves of buildings and in trees and vegetation on site. If a complete or partially completed nest is found on a site, work that might damage or destroy the nest, eggs or young birds, or make the adult bird abandon the eggs or nest, must stop until the young birds have fledged. You may even need to seal off an area entirely until the fledging process is complete. If you break the law you can be find as much as £5000 per offence, and can even be imprisoned for as long as six months. Your vehicles can be impounded if they've been involved in breaking the law, and the people concerned can be held legally liable. Our experienced ornithologists report on and survey wild birds and their breeding and wintering habitats, carrying out specialist bird breeding and wintering surveys, surveys looking at breeding birds of prey, and specialist vantage point surveys. Our people have a great deal of expertise and experience conducting licensable, breeding, nesting and wintering bird surveys in every type of environment, including wetlands and marine environments. If you would like to discuss how we can help you stay on the right side of the law and protect the birds visiting, living on and breeding on your site, we would be pleased to hear from you.